[...] and to the Clergy and Faithful of the entire Catholic World, and to all Men of Good Will. Is there an official understanding by the Catholic church of what people of good will mean? I searched through the Cathecism, but the two references to good-will that exists are not related to the above. I also searched the Catholic Encyclopedia, without success. This use is generally a reference to the Greater Doxology which goes, in its second verse, "et in terra pax hominibus bonae voluntatis": "And peace on Earth to the people of good will." This is a translation of (part of) Lk 2:14, which goes in Greek "καὶ ἐπὶ γῆς εἰρήνη ἐν ἀνθρώποις εὐδοκίας": "And on Earth peace, to men good will", which has a slightly different sense. The Latin translation is traditionally attributed to St. Hilary of Poitiers in the mid-4th Century. This translation predates the Vulgate, but this part shows up the same in the Vulgate (in the previous verse, Jerome says in altissimis Deo where Hilary says in excelsis Deo). Following the sense of the Greater Doxology and of the Scriptural passage, "men of good will" is a reference to those men who are well disposed to hear the Word of God and take it to heart, and who are referred to by the angels in the Gospel. Not the answer you're looking for? 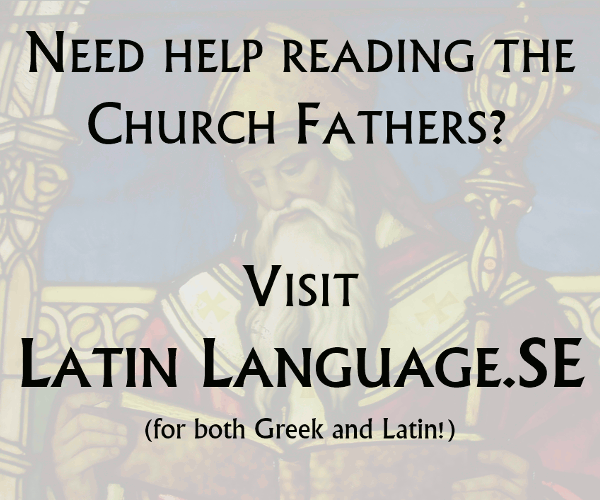 Browse other questions tagged catholicism papacy encyclicals or ask your own question. Where within Biblical Scripture does it mention anything similar to the official Catholic and/or Orthodox church's hierarchy of church officials?